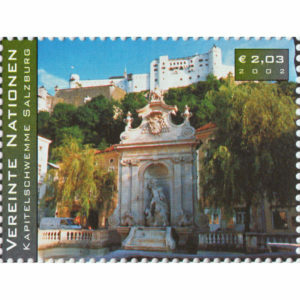 SKU: 7417038 Categories: 2005, Single, Vienna. 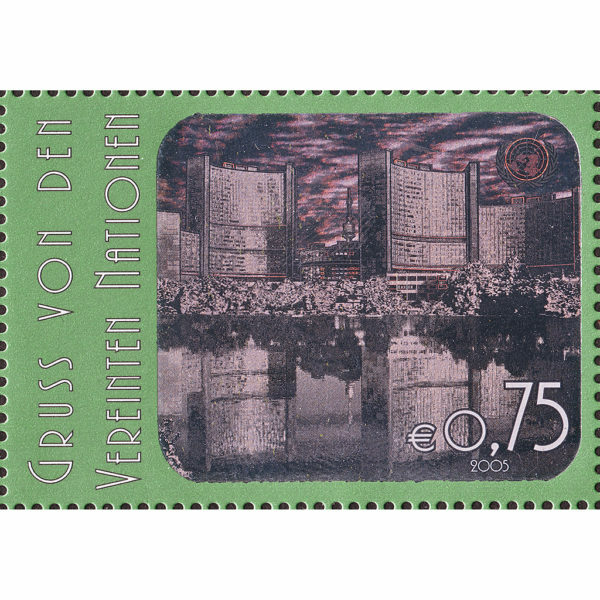 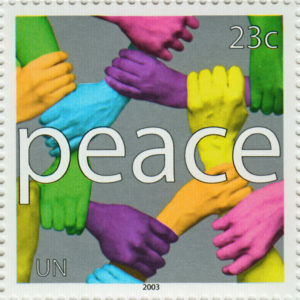 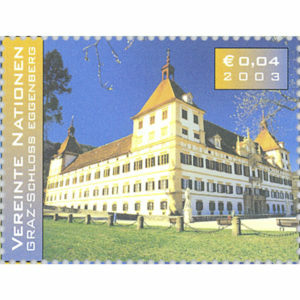 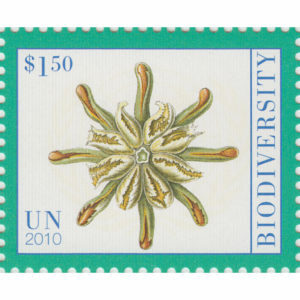 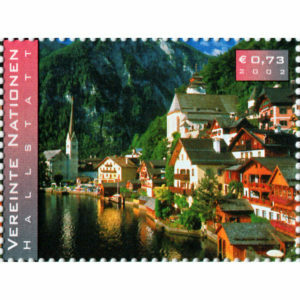 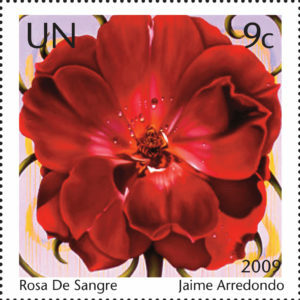 The stamp depicts the Vienna International Centre. 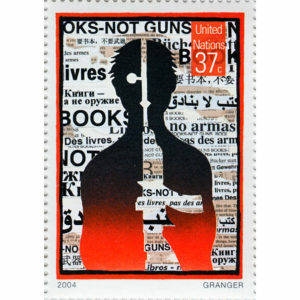 Printed in offset by Cartor Security Printing (France). 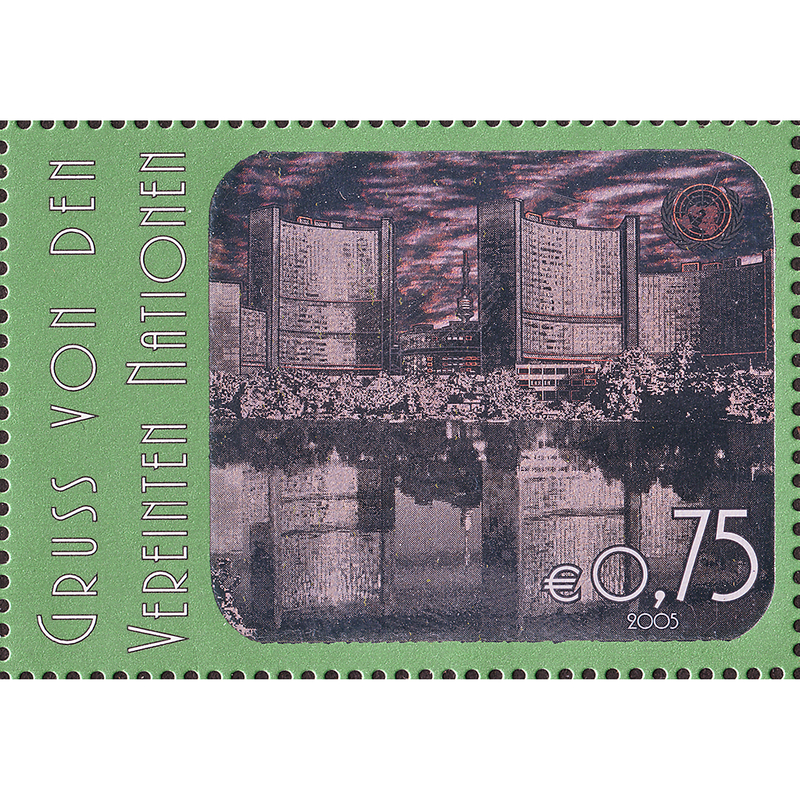 Perforation 13The horizontal sheets of 20 stamps have two marginal inscriptions, two in the top margin and two in the bottom margin. 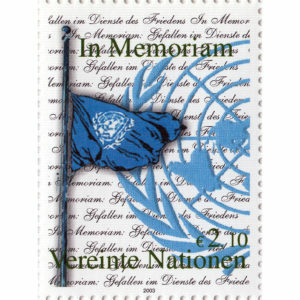 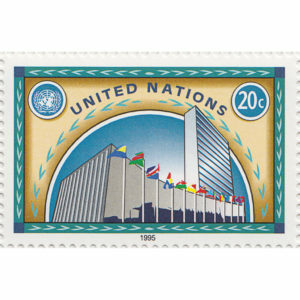 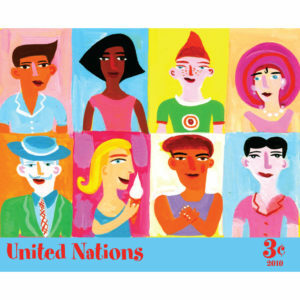 The marginal inscription consists of the United Nations emblem with the text “Vereinte Nationen” above the emblem and the year 2005 below the emblem. 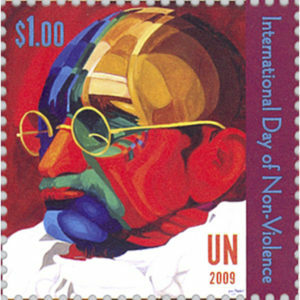 In addition, one copyright symbol will appear in the lower left margin.